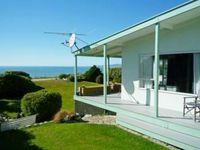 Properties in Golden Bay average 4.5 out of 5 stars. 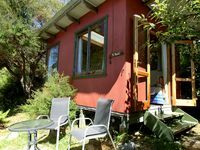 Property 1: Gunado - a cosy kiwi bach. 3 BEDROOM HOUSE IN PERFECT LOCATION! Property 4: 3 BEDROOM HOUSE IN PERFECT LOCATION! Property 7: The Library Bach - A special place people love! Property 11: Ligar Bay - Beachaven Cottages (front). Kayaks, WiFi, Virtually Beachfront. Beau Vista Pohora - views to die for! Property 14: Beau Vista Pohora - views to die for! The lodge that isn't a lodge! The Laidback Lodge! Property 47: The lodge that isn't a lodge! The Laidback Lodge! We had a super stay in one of our favorite places in Golden Bay. Beach front living at it's absolute best. We will be back very soon!